I recently celebrated my sister and my new niece or nephew to be by throwing her a baby shower. Everyone knows that at baby showers, you typically get blankets and lots of them. I remember when Zoelle was born I got a ton of pretty blankets. They were seriously wonderful, but none of them were swaddle blankets. I had no idea what it meant to swaddle when I first had Zoelle. If you are like me, go check out the swaddle tips so you'll know what I mean when I saw swaddle your baby. Once we started swaddling Zoelle and Meridian, their sleep improved dramatically. In fact, I remember lamenting to Chris when Mer outgrew her swaddle that I was never going to get her to sleep. It was in part true, but for the time I had the ability to swaddle, I was thankful. When we have our next, I'm happy to say that I've found a swaddle blanket and company that I love! 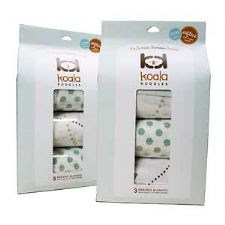 Koala Kuddles make excellent light weight cotton blankets that would be perfect for swaddling. Since I don't have a tiny baby in my house to swaddle and I completely forgot to take pictures of it with Meridian, I don't have any pictures of it in use at my home. I will say though that these work beyond the swaddle period. As it is getting warmer and warmer in the summer, I was looking for a new blanket to replace Meridian's heavy blanket that she sleeps with in the winter. Since it is so light weight, it works perfectly just for that. Another thing I was excited to use it for is as a light blanket in the stroller. Some days or nights can be a little cool here, but not cool enough for a big heavy blanket. The swaddling blanket is perfect for that! The only thing I wish is that it was just slightly bigger as my girl is growing bigger and needs a bit of a bigger blanket now. If you are looking at getting someone in your life, or yourself, a swaddle blanket for a little one, look no further! Koala Kuddles has generously offered one of my readers a chance at winning a 3-pack swaddle of your design choice. 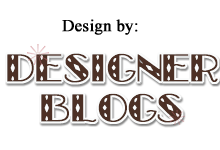 Contest ends Sunday, June 20, 2010 at 11:59 p.m. CST! *Congrats to #14-Celeste! You have been e-mailed! I learned that they are piling resistant and soft to the touch on the baby’s body. Oops! I forgot to tell you that I would choose the Polka Dots 3-pack if I won! Love them! I love the Polka Dots: "the more they are washed, the softer they become"
I'd pick the Polka Dots set if I won -- I learned that it is piling resistant. Learn your baby’s signals (some might be crying, twitching, ear pulling, eye rubbing, not eating) which mean they are tired and need some sleep. I learned that "Unlike traditional swaddling blankets which are made of a thicker, denser cotton, this 100% cotton weave (in Australia we call it muslin, pronounced ‘muzz-lin’), minimizes the risk of the baby over-heating and becoming drenched in sweat because it allows the excess heat to leave the swaddle." i would love to win the Australian animals. I love that they are 100% cotton. I would pick the polka dots. 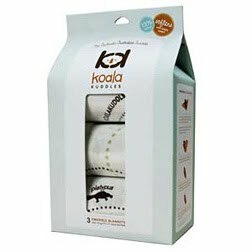 I learned that the more the Koala Kuddles wraps are washed, the softer they get. I like the Polka Dots (2), Animals (1)- I learned that they minimize overheating! I learned that the more the blankets are washed, the softer they get! I would choose the polka dots. I learned that it is possible to learn a child's sleep cues. I'd like the assorted pack. I'm a fan of you on fb (Lisa M).